But today, it's the Munchkin's school district's turn to go on strike and so my usual work day has been put on hold. Since the Munchkin will be home I plan on getting my knit on as much as I can today. I've got just the garter stitch border to get through before I can cast off this baby. I'm determined that today is the day I will cast on that last gift. It will happen. But first, the Munchkin is dying to go outside to take a spin on his bike, and I think he's been eyeing his skateboard too. The sun is out and I would feel bad if I kept the kiddo locked up inside all day. Besides, he gets me active too. Last night I took my cruiser out for the first time this year AND I brought out the roller skates for a little stroll (just to find out that they're now too small for me. Dang!). So with that said, I better get outside before the Munchkin starts scaling the walls. And of course I'll be toting along my knitting! There aren't enough hours in the day, that's how I always feel! 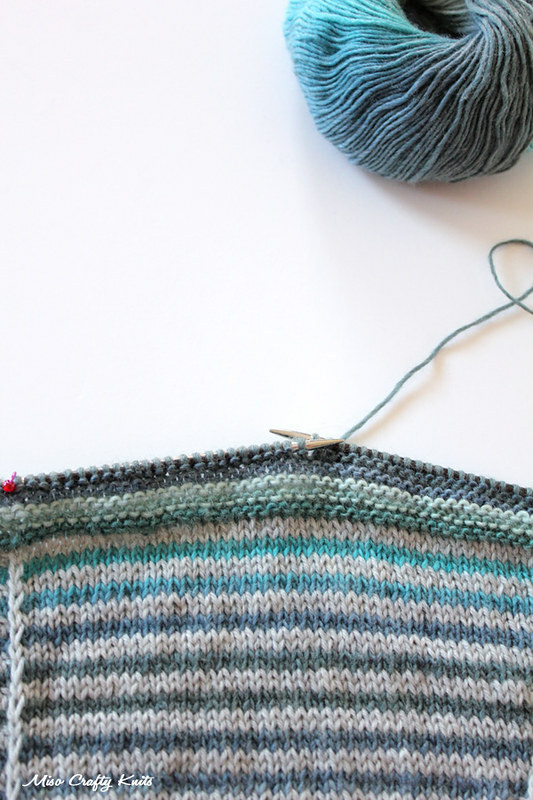 Love the look of those stripes, though....good luck squeezing more knitting time into your day!